The Total Car Care series continues to lead all other do-it-yourself automotive repair manuals. This series offers do-it-yourselfers of all levels TOTAL maintenance, service and repair information in an easy-to-use format. Each manual covers all makes format. Each manual covers all makes and models, unless otherwise indicated. 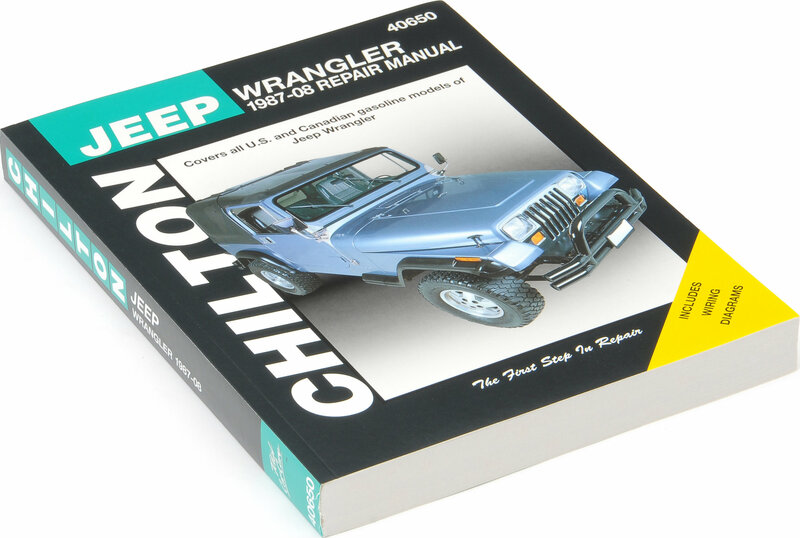 :Based on actual teardowns :Simple step-by-step procedures for engine overhaul, chassis electrical drive train, suspension, steering and more :Trouble codes :Electronic engine controls.Covers all U.S. and Canadian models of Jeep Wrangler; 4 wheel drive, gasoline engines. Great book, everything you need to know.